Here's a link that discusses about the difference between the true light and the false light. As a seeker it is important to know the red flag. It is indeed true that the false light may appear to be true light. It is appealing and convincing. Without the discernment, it is hard to tell which one is the true light and the false light. The false light can overshadow you that you could not even recognize it. It is always important to read the Bible as your reference. Once you have read the Bible, it will hold as a guide to know what you have partaken. There has been a lot of revelation happening to me when it comes to my spiritual path. And one of them is about my dreams, of what is going to transpire in the future which created a thread of what is being revealed to me through my dreams. It was a series of dreams though that are interconnected with one another. 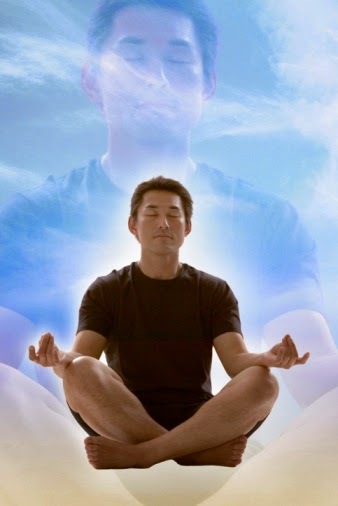 And I know that things happening to me are just being part of my path to spirituality.Could it be lucid or vivid dreaming, my Higher Self was just showing me something that now I get to understand why it happened to me. When I put all my dreams together, it does make sense. These recurring dreams I have experienced tell me some important details that I must pay attention to. At the end of the day, I realized that this is just something that I have to experience. My recent dream about misunderstanding with one person that was going to happen was being shown to me. It was a sad dream that I found myself sobbing in the middle of my sleep. Then few days later, that incident happened. My Higher Self wanted me to realize this that this was just only part of the learning process that is why it showed me how it was going to be. In spite of these things happened, I never felt the bitterness in my heart and I felt this self-acceptance has to be commenced because things was just meant to happen. No blaming game or any sorts of bitterness because I knew it was my Higher Self showing me what was being transpired to happen. Although I felt bad in my heart, but there was no indication of bitterness that I felt. In fact, forgiveness no matter how deep is the wound is, was something I have learned from this incident. This is part of my learning process in order to GROW spiritually and I would never take it against to someone for life. I believe I was being cleared through this process. This is what I learned from this path: When I FORGIVE, you are cleared from your KARMA. You can say sorry a million times, say I love you as much as you want, say whatever you want, whenever you want. 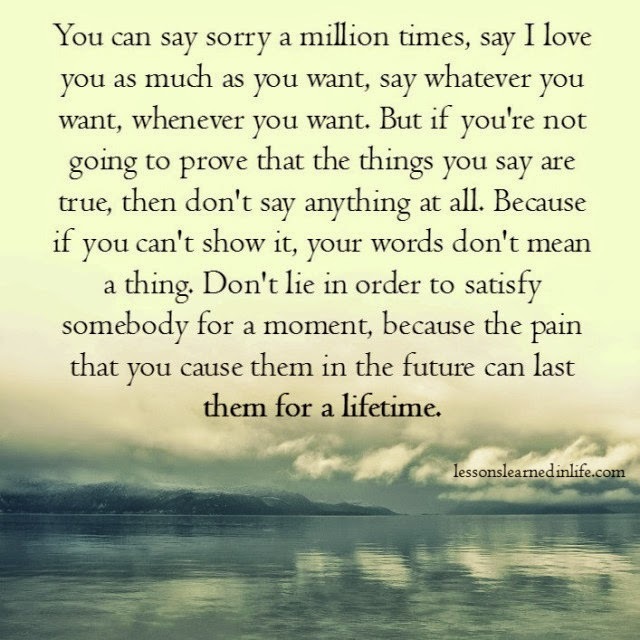 But if you’re not going to prove that the things you say are true, then don’t say anything at all. Because if you can’t show it, your words don’t mean a thing. Don’t lie in order to satisfy somebody for a moment, because the pain that you cause them in the future can last them for a lifetime.